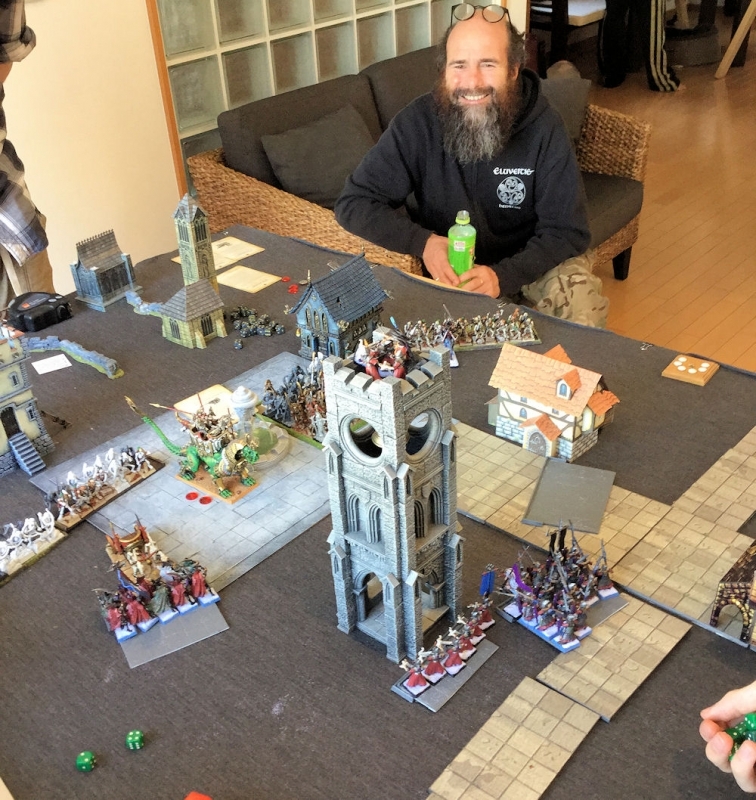 We had a two-day gaming extravaganza this year, with 6 guests joining us on the Monday to play a variety of game systems - quite a few Warhammer games were played too, in preparation for the big day! 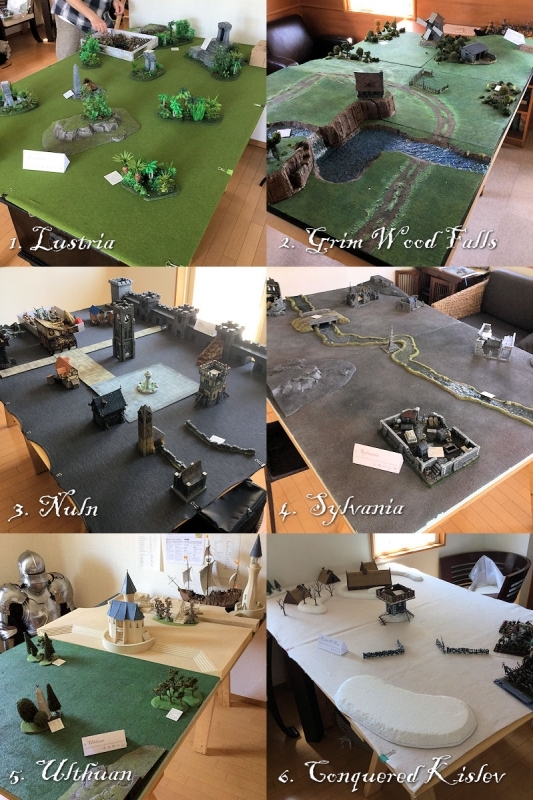 It was interesting to note that nobody this year brought a HARD level army, and we even had our very first SOFT level army - kudos to Yas for deliberately handicapping himself with a goblin-only army, and no sneaky leadership bumps! 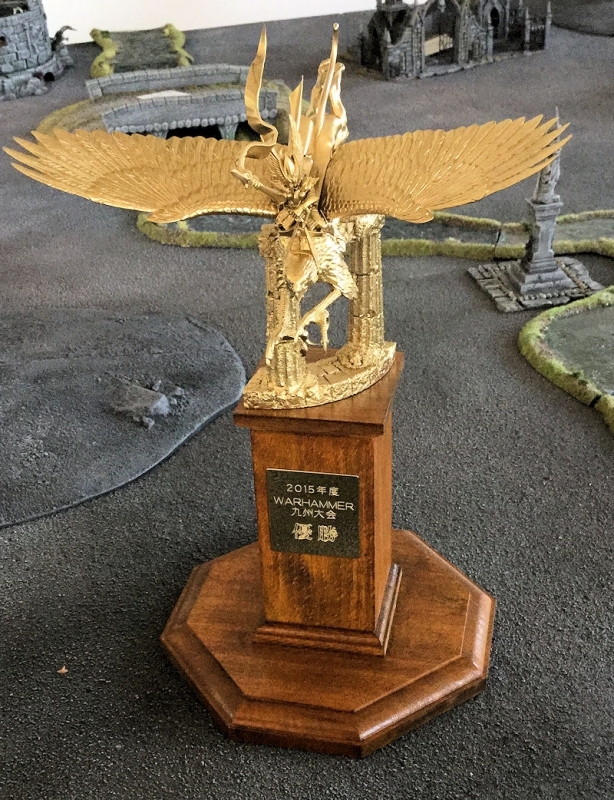 This year's Winner's Trophy was the cool High Elf on Griffon model swooping down over some temple ruins. 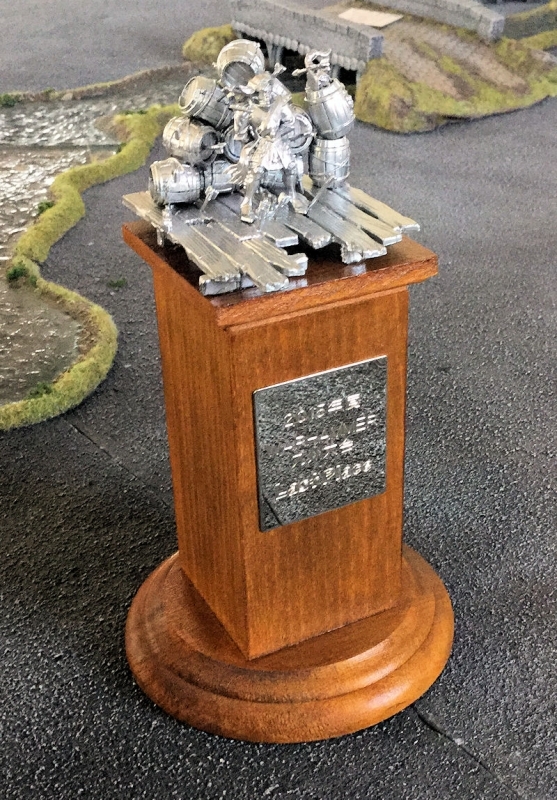 This was the last of those models, so next year's trophy will have to be something new...... suggestions in the comments, please! 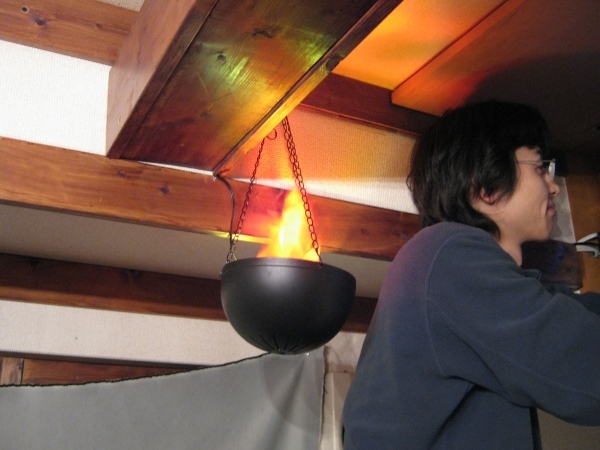 Once again, building this year's Last Place Trophy was a lot of fun. Although it's a little difficult to make out in the photo, this vignette shows a defeated High Elf general blindfolded and ready to meet his death by firing squad. 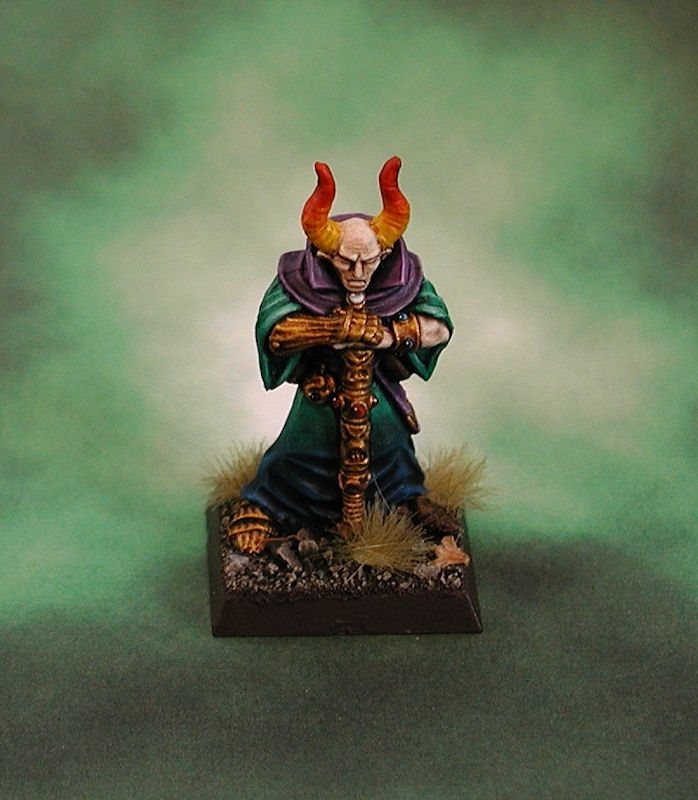 Fortunately for him, the "firing squad" in this case consists of greenskins, who manage to hit everything except him! 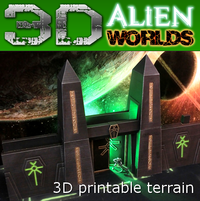 Sorry - what with running around sorting out rules queries and organising lunch, I completely forgot to take any photos! 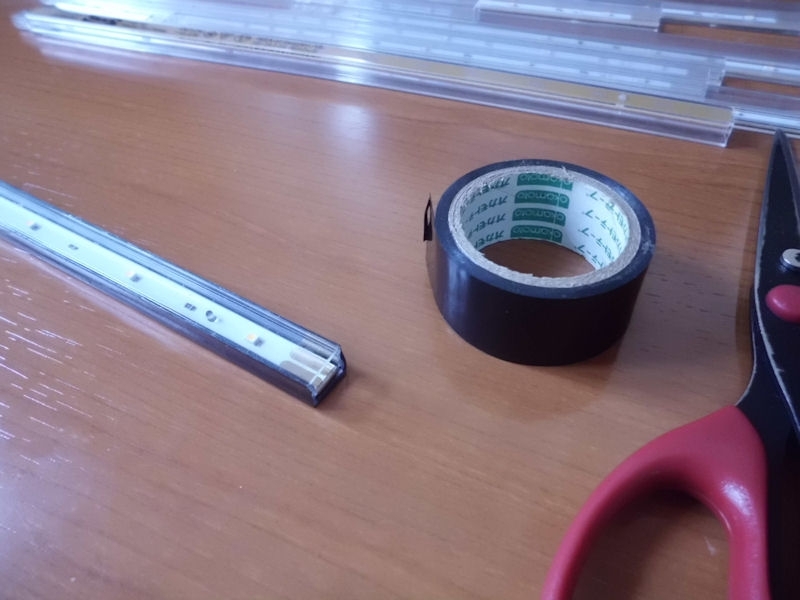 Aaargh!!!! After 5 great games, we had 4 winners and 4 losers (but not by much), and also two players who fought themselves to a draw over the cursed river crossing of Sylvania. 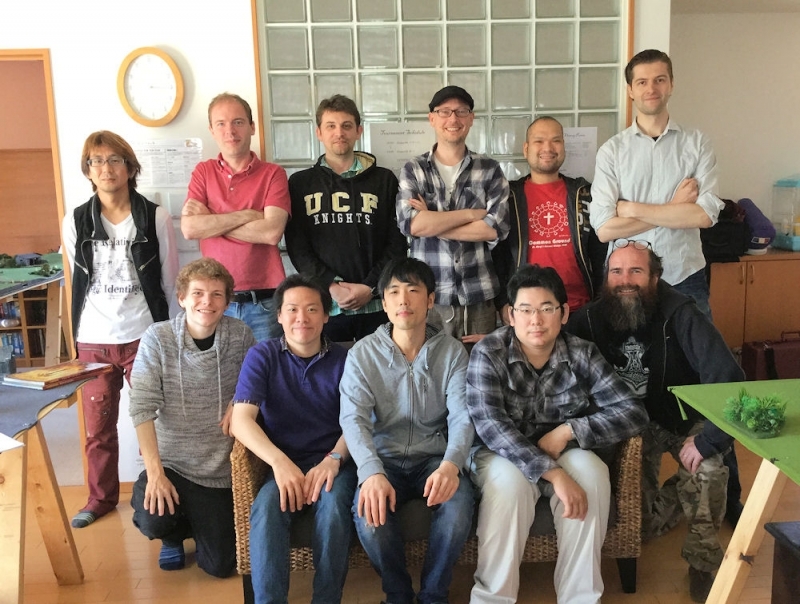 After suddenly remembering the need to take some photos (thanks, Miyao-san! ), I snapped this mid-game shot of Ross' Tomb Kings advancing on Liam's Dark Elves in the besieged city city of Nuln. Having suffered greatly at the hands of the dreaded Casket of Souls (which hit every unit in the dark elf army in a single turn! ), the Dark Elves hit back hard, destroying the Warsphinx in a single round of combat - with corsairs!! The game ended in a draw. Yas' only strong combat unit, trolls, are doing what they do best in this picture...... wandering away from the big combat!! 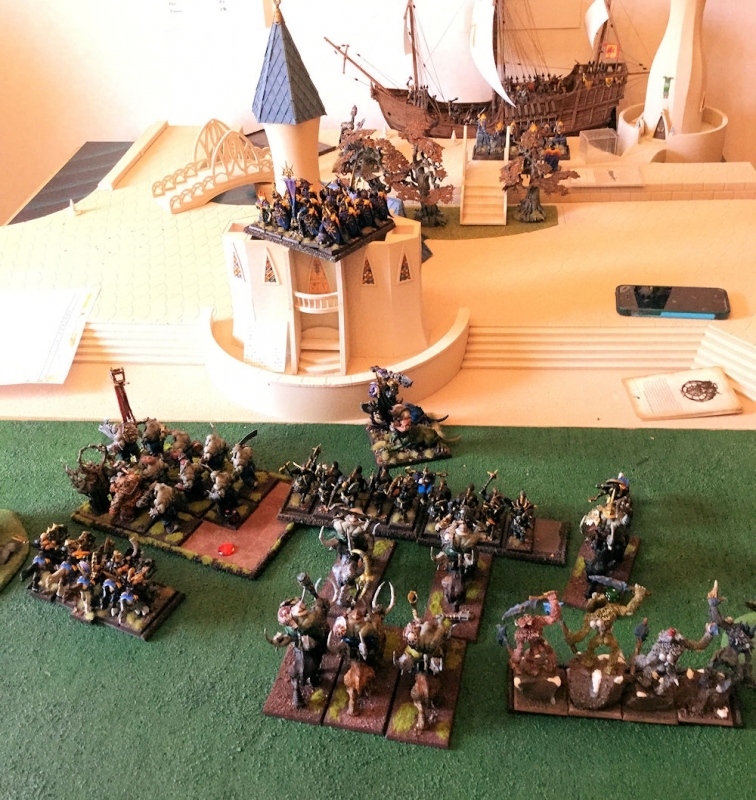 The sneaky little goblins were left to fight off the big High Elf monsters on their own, but were hampered by the size of their own units and unable to bring their superior numbers to bear. 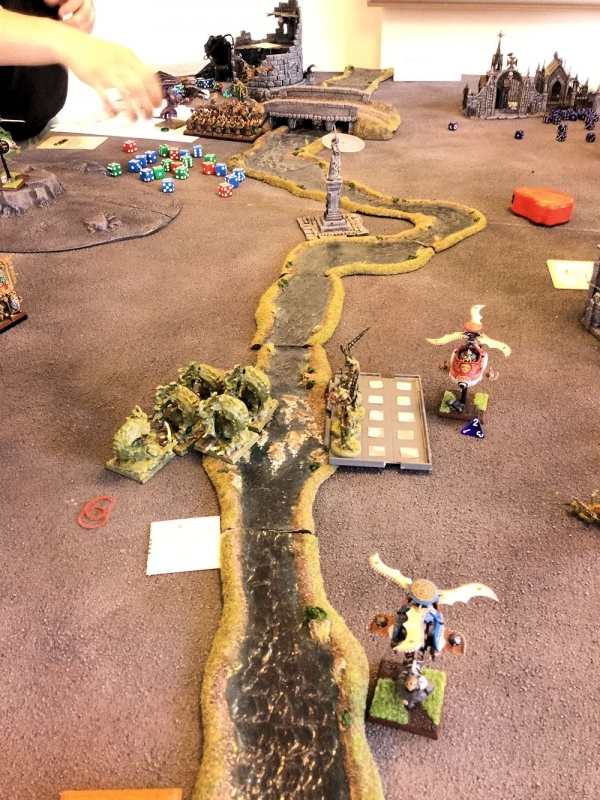 Here you can see the effect gyrocopter steam cannons have on massed units - the much reduced ranks of the plaguebearers were not enough to hold the river ford until the end of the game. However they were able to exact some measure of revenge with their flying Furies, which swept on over the heads of the Longbeards and into the crew of the flamecannon. 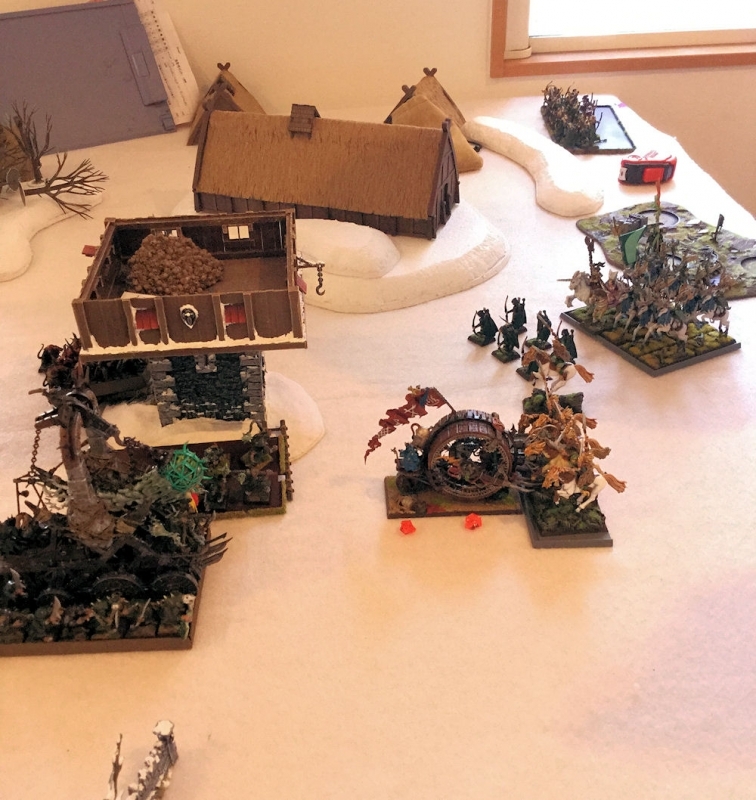 Those tricksy wood elves managed to pick and choose their fights for most of the tournament, but in this matchup against Baba's Skaven were forced to fight head to head for control of the burnt-out watchtower. 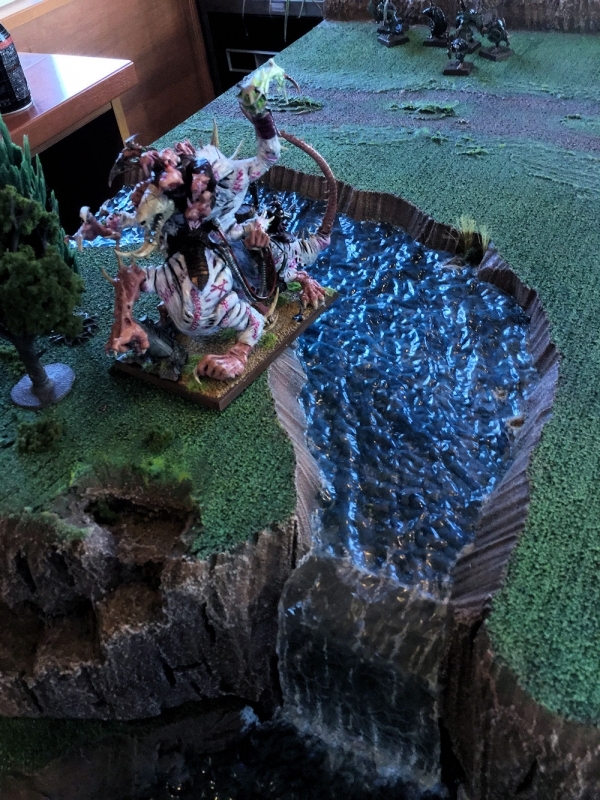 In the end it was a lowly giant eagle that won the game for the wood elves, holding up a huge block of clanrats in the final turn of the game and stopping them from seizing their objective! 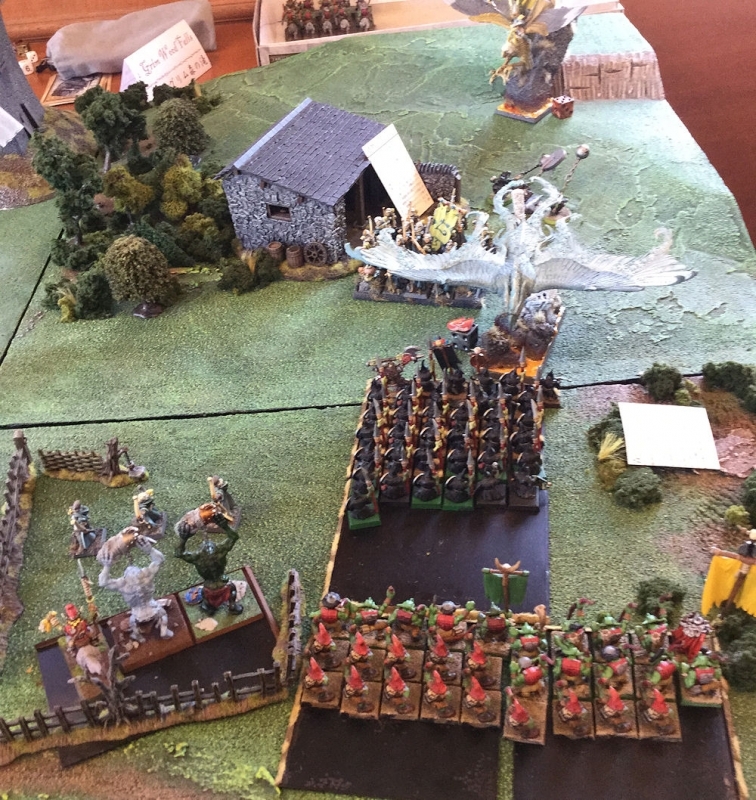 Despite an early victory against their hated cousins the dragonogres, Abe-san's ogre army were outmatched against the cream of the chaos forces. 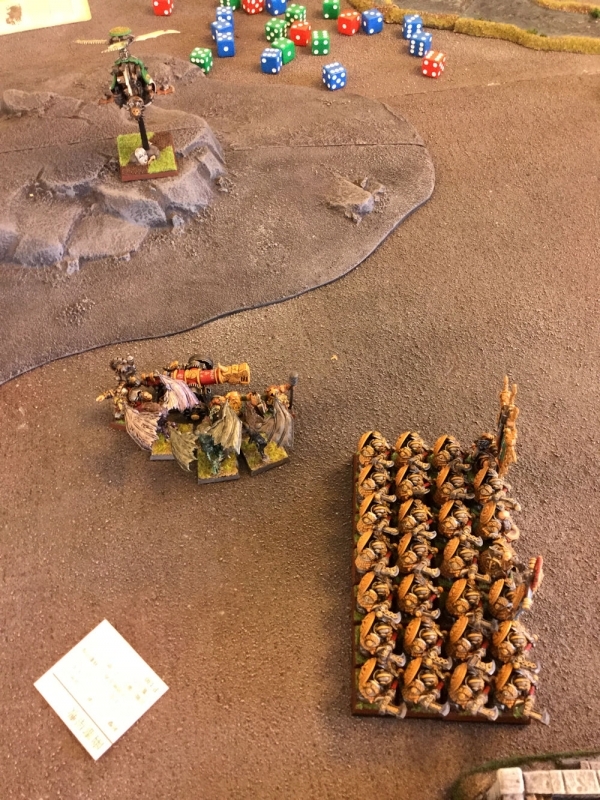 When 10 chaos knights charged into a 6-strong block of ogre mournfang cavalry, the outcome was uncertain. Yet when the dust cleared, most of the ogre heavy cavalry lay dead at the feet of the unscathed chaos knights - who knew?! I swear that I took photos of all the games, but it seems almost none of those pics from round 3 survived, so we are only left with this vicious fight between Baba's skaven and Liam's Dark Elves. 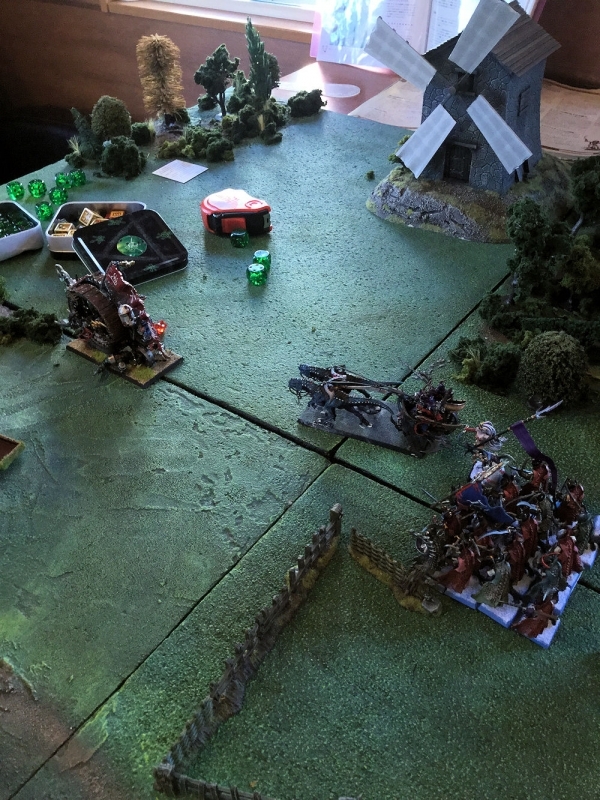 A series of charge and countercharge combats in the middle of the field left Liam's Dark Elves dangerously depleted, but Baba's skaven were unable to move fast enough to make the most of the situation. 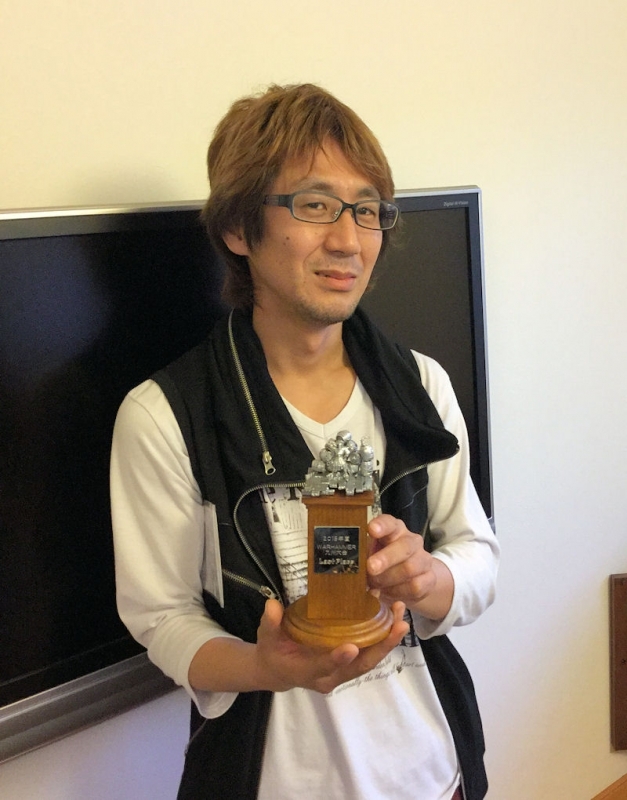 Congratulations to Mike, who defeated Miyao-san's wood elves in a real grudge match, and claimed a win by only 7 victory points!!!! 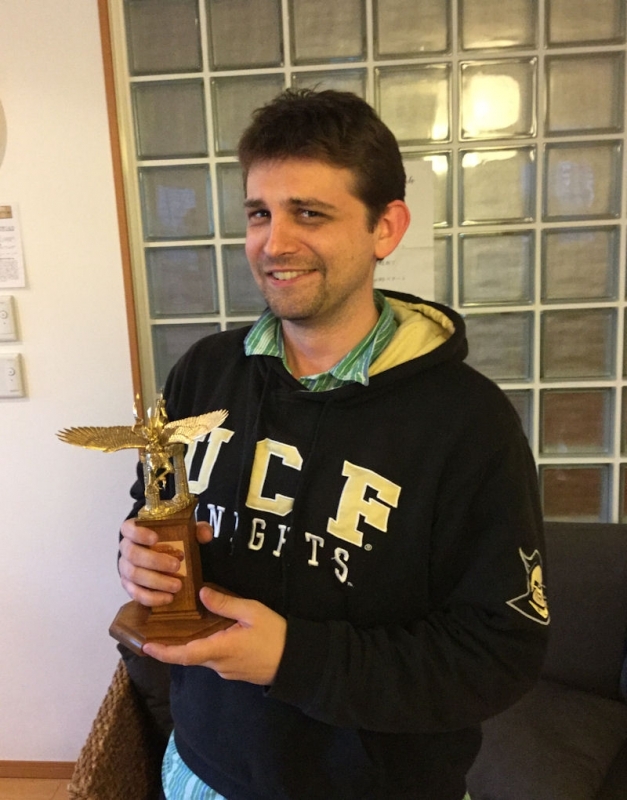 A perfect 3 wins put him slightly ahead of Vlad and Yas, and gave him the trophy for 2015. Thanks everyone, for coming along and taking part! Look forward to seeing you next year!